Culture war is very real. You are at ground zero in the war zone. Western nations are presently engaged in the most intense and most important culture war ever. A study by LifeWay Research shows that 59% of Christians think we’ve already lost the cultural war and that we are now reduced to fighting for our very freedom to worship God and declare his greatness. The answer to this is to unify, but before I get into that, let’s look at this culture war issue in more detail. Fox News recently ran an article entitled, “Have Christians Lost the Culture War?” I include a portion of that below. My comments and admonition follow the article excerpt. Culture war is nothing new, but we have lost considerable ground in the past century. We are being hit from all angles, from a multitude of different fronts, and we have not effectively stood against the onslaught in large enough numbers to make enough of an impact to change the tide. We are losing the culture war. Make no mistake about it, we are now in the position that we must do something or perish. Christian persecution is on the rise, not only in the Middle East, Europe, and England, but right here in the United States of America. Those persecuting us include government agencies installed by people we have elected into office. We have Islam demanding Sharia law in various areas. Homosexual rights trump religious rights. We must act now or our societies will continue to degrade. This is the reality of the culture war. We unify. We unify or we die, it’s that simple. The following scripture passage is lengthy, but please read it carefully and as often as you need to get the fullness of what God is telling us here. This is God’s vision for the Christian Church. He is not speaking of any particular group or denomination, but to the entire church, all who believe. The most disturbing thing I’ve seen among Christians is a lack of unified action to arrest the advances of non-Christian values in our societies. Although most of the hundreds of millions of Christians agree that homosexuality is a perversion, that abortion is wrong, that violence in music, movies and games is out of control, that Islam is anti-Christian and a huge threat, all they do is voice their opinions in private and only when asked. We need more than that. We need a unified, visible front. Collectively, we have enough numbers to demand change. Collectively, we have enough numbers to influence elections and the writing of legislation. Collectively, we have a loud enough voice to be heard. But fragmented we are easily sidelined and we cannot do anything near what is needed. Let’s unify, seek God through prayer, and take visible action in our world today. 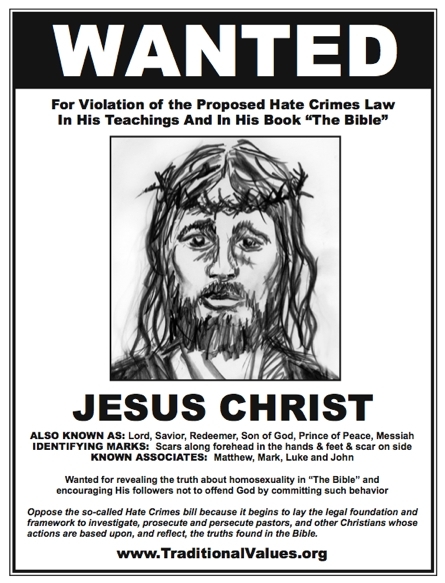 The Christian Culture Center is committed to help make this happen. But we need you. We don’t need as many people as the opposition has because God is much stronger, but we do need as many Christians as possible to work together to impact our culture for Christ. 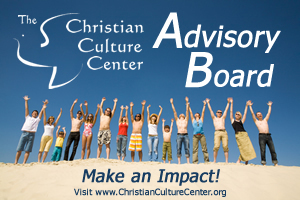 Become a member of our Advisory Board today and help us make an impact for Christ in culture. Your very freedom — and life — depends on changing what’s happening in our culture.